Sorry, Smok Treebox 75W TC Mod has been discontinued. 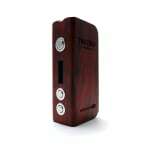 The Smok Treebox 75W Temperature Control Box Mod is a beautiful and lightweight mod made of 100% Brazilian Zebra Wood. On top of its beautiful, light, and comfortable in hand finish, the Treebox also offers temperature control mode with Stainless Steel, Nickel, and Titanium wire, and variable wattage up to 75W. 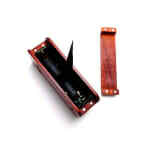 The Smok Treebox 75W Temperature Control Box Mod is a beautiful and lightweight mod made of 100% Brazilian Zebra Wood. On top of its beautiful, light, and comfortable in hand finish, the Treebox also offers temperature control mode with Stainless Steel, Nickel, and Titanium wire, with a maximum temperature of 600°F / 315°C. It's high frequency dynamic monitoring resistance technology, and innovative initial resistance detective ensure a smooth and continuous vape in TC mode, with resistances as low as 0.06 ohms. In variable wattage mode, you will be able to use atomizers as low as 0.10 ohms, and control your wattage between 1W and 75W. 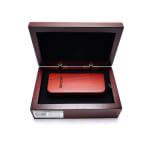 It is powered by a single high drain 18650 battery, not included, that can be purchased here. 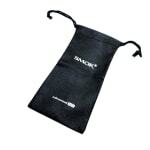 The battery is protect by a convenient magnetic sliding door. With its technonology, unique material finish, compact form factor, and light weight, the Treebox is a unique box mod by Smok that is sure to impress.